When I found out that the team behind The Pond had extended their visions to a site on Upper North Street, I had an inkling it might be a hit. Even better that they’d recruited Chef Kanthi Kiran Thamma (he of Curry Leaf Cafe fame) to help create its casual Indian menu. However, before coming to a real conclusion about the place, I (naturally) had to try it first. We wander into The Hampton on a particularly chilly evening, which admittedly I am not dressed for (my boundless optimism tends to clothe me in about one or two fewer layers than is appropriate). Fortunately, the pub is temperate, the warmth that greets us extending to the friendliness of the bar staff. Manager Azzy is only too happy to talk us through the drinks offerings before we take to our seats – at which point he also sits with us and explains the menu. On tap, it’s much as you’d expect from The Pond’s alumnus: you’ll find the finest in craft beers (including Pondwater Pale, of course), plus a generous selection of spirits, wines and soft drinks. Yet it’s the food menu where things really get interesting. 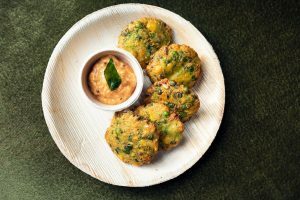 Brighton has no shortage of Indian eateries – in fact, I can easily reel off a handful of Gujarati restaurants alone off the top of my head – however a search for Indian street food comes up a bit empty. Everyone knows Indian food goes great with a pint too, but the two haven’t been combined in a pub since Curry Leaf was the resident kitchen at The Temple Bar (remember that?) – excluding at Wetherspoons. All of that’s changed now, of course, as Chef Kanthi has come up with a rather excellent menu to feast our eyes (and our bellies) on. Full curry dishes are plated up beautifully, the flavours easily rivalling your favourite local takeaway. 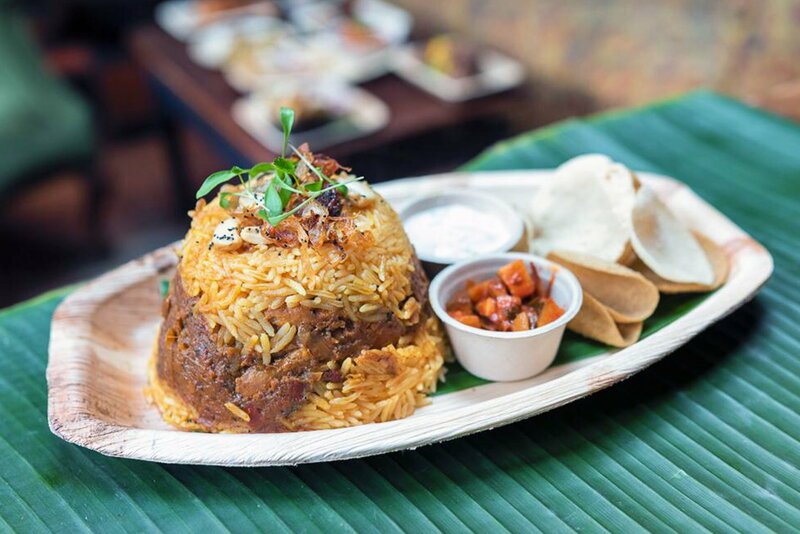 You’ll recognise a few of the dishes on the menu – everyone loves a good biryani after all – but there are a few snacks that might be unfamiliar to even the most seasoned of food lovers. We opt for a banquet comprising gobi manchurian (a light yet warming dish of crispy cauliflower tossed in soy, ginger and garlic, £5), makkai and mutter tikki (sweetcorn and green pea spiced fritters served with chutney – the ginger is strong with this one – £5.50) and both the vegan and chicken thigh biryanis (£9/£12, with £2 donated to a flood relief fund) – topped off with a plate of appalams (mini poppadoms, £3.50) as a palate cleanser. 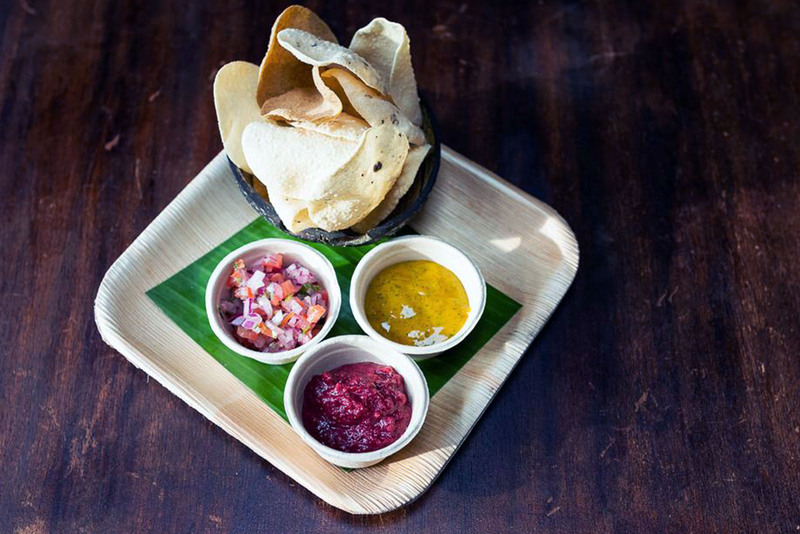 Chef Kanthi is known for his sauces and chutneys, and it’s easy to see why; my dining partner and I can’t help but find excuses to dip anything – everything – throughout the meal. Sadly, it ultimately proves to be a bit too much, and we end defeated by the sheer volume of food placed in front of us – though not through lack of trying. As expected, Easy Tiger at The Hampton brings a much-needed refresh to the tired old Hampton Arms of yesteryear, and it’s a nice change in pub grub from your standard burger. I sense a new destination for the traditional Thursday curry night. Don’t you?